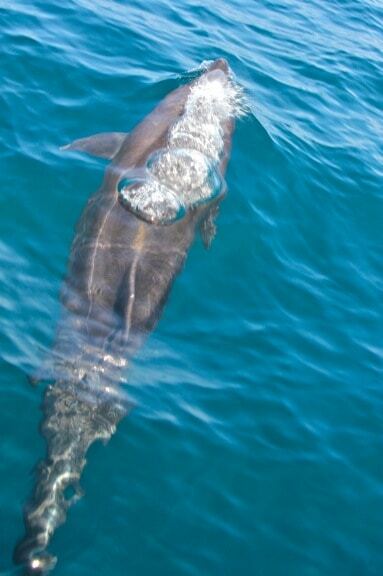 Let’s get the obvious out of the way, right from the get-go: Dolphin tours are bad for dolphins. 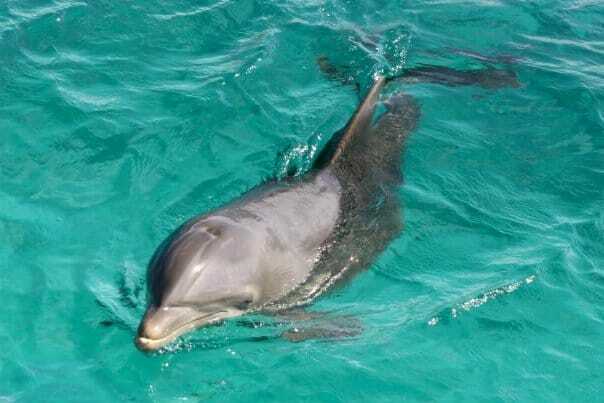 Organizations such as the Humane Society and World Animal Protection have long condemned captive Swimming With Dolphins programs for their inhumane treatment. 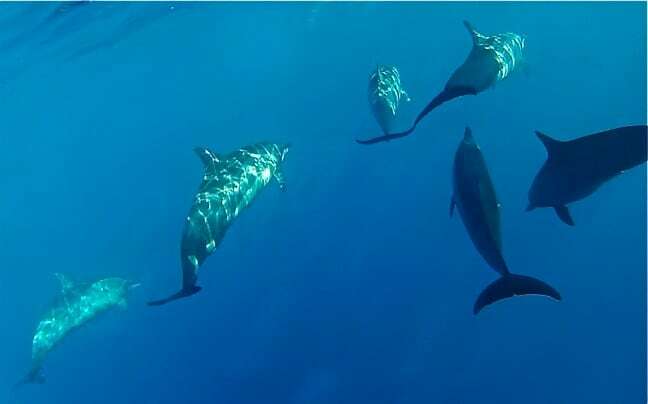 As depicted in The Cove, these dolphins are captured in the most horrific cull you can imagine, with those that don’t pass muster immediately slaughtered. Of the dolphins that do survive, 53% die within the first three months of captivity (causes include chemicals in the water, human infection and stress-related illnesses). Food deprivation is often used to train dolphins to perform tricks, and long-term captivity has been proven to have devastating effects on the mental, physical and emotional well-being of all cetacean species. Like a lot of travelers, we didn’t fully understand how bad captive cetacean facilities were until a few years ago. I took my daughter to swim with dolphins in the Bahamas in 2006, then Mary and I swam with them in an open-water setting in Curacao in 2009 (just before The Cove was released). But in the years since, we’ve done our best to educate and inform our readers on the subject, including interviewing Blackfish director Gabriela Cowperthwaite about the problems with captive cetacean facilities last year. Last week several travel bloggers took me to task in the Business of Blogging Facebook group I created, suggesting I was “betraying my brand” for agreeing to speak at TBEX– the world’s leading conference for travel bloggers– in Athens, Greece later this year. The reason for their criticism? 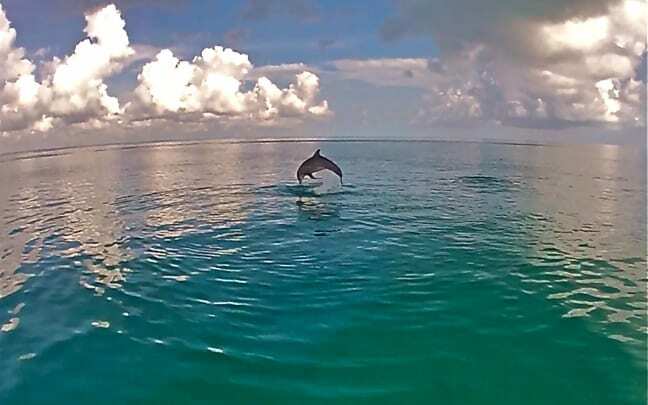 Because the forthcoming TBEX Conference in Cancun was offering bloggers an opportunity to take Dolphin Tours at a tourist attraction called Delphinus. They felt that I, as a leading eco-conscious blogger, should immediately refuse to appear at TBEX on principle. What bothered me was not the fact that these people essentially called me out in a public forum, or questioned my stance on captive cetacean programs. No, the troubling issue was that they leapt to assumptions about me and my brand without any effort whatsoever to gather facts on the situation before passing judgment. And, given the professional context of the discussion (i.e. a forum about Business), that’s just bad form. The call to boycott TBEX because of the Delphinus Dolphin Tours began on July 14, when a leading travel blogger wrote a post called “Help Stop the Promotion of Unethical Tourism.” Like many bloggers, he was upset by TBEX exec Rick Calvert’s disappointing response to blogger concerns over the tours. He listed many of the same reasons we’ve included above for why dolphin tours are bad, and called for all travel bloggers to boycott TBEX until the tours were removed from the schedule. But having one of the world’s most high-profile bloggers write about the issue attracted a lot more attention. Our friend (and fellow EcoAdventure Media member) Ethan Gelber helped launch a great discussion about the TBEX dolphin tours and ethical tourism practices on his Outbounding site; environmentally conscious bloggers such as Mike Huxley added their well-reasoned voices to the debate; and even British newspaper The Guardian recently covered the controversy. If nothing else, the TBEX boycott helped initiate a broader conversation on sustainable travel issues– a mission we’ve dedicated the last four years of our lives to. So why didn’t we join the call to action on the boycott? Because we recognized that the boycott did absolutely nothing to solve the real problem, and we were extremely busy behind the scenes pursuing other actions that we believed might be more effective. The first thing we did when investigating the controversy was to consider the business decisions behind it. In my experience, if you track the flow of money, you can usually find the source of most problems. After doing some digging, I learned that the Cancun Convention & Visitors Bureau has control over which tours are offered to visiting bloggers. The people behind TBEX can voice their concerns privately to their hosts, but to throw them under the bus publicly would guarantee problems with securing host cities for future conferences. In short, it would be a terrible business decision, especially when– let’s be honest here– the percentage of bloggers who truly care about sustainable travel issues is a small (albeit vocal) minority. As for Cancun, their reasons for wanting bloggers to visit Delphinus is obvious. 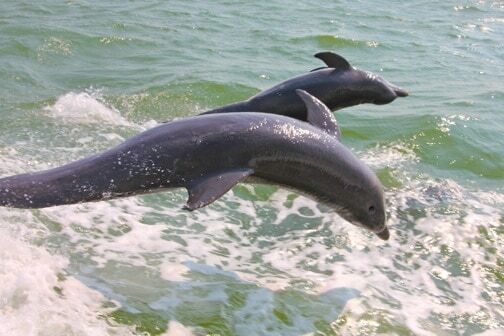 Dolphin tours are a HUGE tourism draw, generating billions of dollars in revenue every year. Companies like Delphinus pay a hefty sum to the CVB in exchange for their marketing and promotional services. So of course Cancun wants bloggers to visit Delphinus, swim with dolphins, and then write glowing stories about how wonderful the experience is. But how might the Cancun CVB feel about a group of high-profile, eco-conscious bloggers banding together, writing well-researched stories about the reasons attractions like Delphinus are bad for dolphins, inter-linking their stories for SEO impact, and publishing them during TBEX to create a negative publicity campaign? I’ve worked with Cancun on several high-profile stories recently, for outlets like Volaris Airlines and Yahoo Travel. How would they feel if they knew that I would lead such a campaign, and enlist dozens of bloggers we’re working with to join in? This was the question I posed to my contacts at the Cancun CVB, suggesting that going forward with the dolphin tours could prove VERY bad for business. In short, to counter an industry driven by profit, I focused my argument on the money, not morality. It has been disheartening that some people have put so much energy into just one of the MANY wonderful activities we are offering bloggers as part of the pre- and post-TBEX experiences. We truly hoped that each writer would visit the destination, experience the offerings themselves and report freely on what they’ve seen here… Because this is but a small fragment of a comprehensive tourism offering, we want to move on from this topic so we can focus on the agenda at hand, which is to put on a conference where bloggers and industry professionals can share ideas and best practices and, while they are at it, get a first-hand look at Cancun’s offerings. To do so, we have stopped offering these dolphin experiences as part of any pre- or post-TBEX experience. So there it is. It’s not an apology, or an admission that dolphin tours are bad. But it is an end to the official dolphin tours at TBEX. As mentioned earlier, we never got behind the TBEX boycott because we didn’t believe it was an effective means through which to convince the responsible party (in this case the Cancun CVB) to cancel the dolphin tours. We believe that business-related problems can be solved a lot more efficiently through diplomacy: You can’t negotiate if you’re unwilling to sit at the table. But there’s an even bigger reason why we believe the TBEX boycott was a bad idea from the start. Whether we’re talking about sustainable tourism or the blogging industry, we firmly believe that education and information are crucial to progress. That’s the reason we wanted to speak at TBEX Athens in the first place: Bloggers need to gain a better understanding of how to operate professionally within the business world. Our industry is currently at a crossroads. Bloggers want to be treated like professionals and have an opportunity to make a decent living, but our average income is nowhere close to measuring up to our supposed influence. For the most part, travel brands aren’t sure what to make of us, with unprofessional behavior among bloggers widely considered to be the rule rather than the exception. If we as a community want to be taken seriously, we need to take responsibility for strengthening our community. And TBEX is among the very few outlets through which bloggers of all experience levels can get the education they need in order to succeed. I don’t personally care whether TBEX speaks for my beliefs on a sociopolitical level. I want them to work towards improving the blogging industry on a professional level. “As you may know, hundreds of travel bloggers are planning on boycotting the conference to protest the tours. Media is already beginning to take an interest in this story. Other activists, myself included, are working to educate bloggers on why captive cetacean facilities are bad for dolphins and whales, in the hopes that the bloggers who do attend those tours will write journalistic exposes about them.With our site, Green Global Travel, we have been working hard the last 4 years to turn the tide towards more responsible, ethical ecotourism practices. The success of the movie Blackfish is starting to sway public opinion on the subject of captive cetacean facilities. I’m afraid that there will likely be a LOT of negative press coming out of Cancun if these tours go forward, which neither TBEX nor Cancun Tourism wants.